It is time for Watchpic of the Week again! 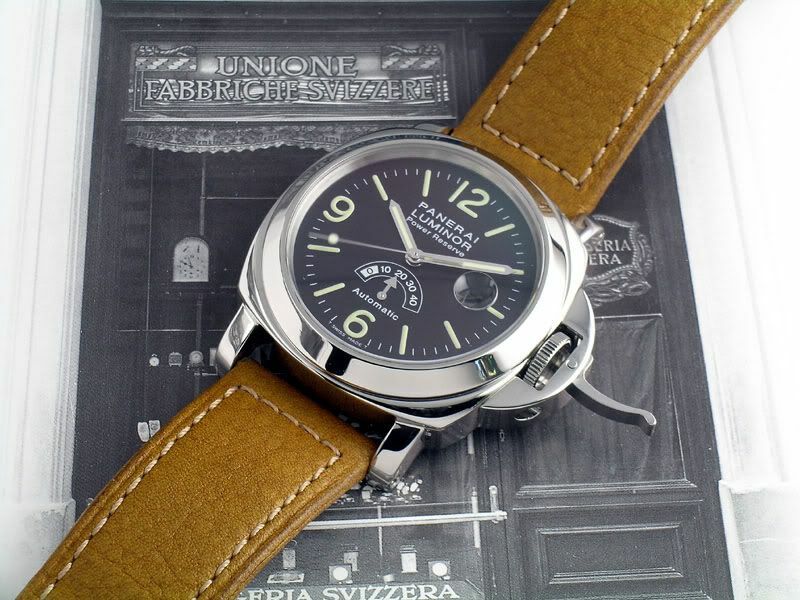 So I am biased (it is my blog anyway)… This week it is a Panerai PAM0027 by GDees. Besides I like this watch a lot, it is a great picture in my opinion. Even though there is focus on the old photograph of the Officina Panerai store in the background, the picture is very sharp. The reflection makes it look ‘real’. Gerard once told me he rather has photos of watches with reflections, than photos who don’t have reflections at all. The photos that belong to the last category are in factory catalogues most of the time, which often do not give the watch the credits it deserves. A watch will always have reflections (except for PVD watches maybe) when you see it in the flesh or when you are wearing it, so why hide? You can find more pictures of GDees here.